You most definitely remember her from Captain America: The Winter Soldier (2014). If not then you must know her from the sequel Captain America: Civil War (2016). Elizabeth Olsen has played significant roles in several Marvel Comics productions and she keeps getting a call back due to her remarkable skills. Olsen made her film debut in 2011 when she starred in thriller drama Martha Marcy May Marlene which earned her some accolades including the Independent Spirit Award for ‘Best Female Lead’. Like her counterparts of the younger generation, Elizabeth who had a hard time making it to the big screen passed through challenging hurdles which she eventually overcame. Here are lesser known facts about the American actress. She was born on February 16, 1989, to her parents – Jannette and David Olsen – in Sherman Oaks, California. Elizabeth Olsen was going to end up as an actress having looked up to her two older sisters Mary-Kate and Ashley Olsen, who are also actresses. Inclined to the world of arts, she began taking classes in ballet dance and singing. Her first movie experiment was in her sisters’ movies. She started with small roles in movies like; How the West Was Fun, as well as straight-to-video series The Adventures of Mary-Kate & Ashley. She attended Campbell Hall School while scouting for auditions for other productions. She made her big screen appearance in Sean Durkin’s thriller Martha Marcy May Marlene (2011), where she portrayed the character of Martha, a girl with strange mental problems. The movie which did well as per ratings and reviews ushered Olsen who had a remarkable performance into the limelight, as well as won her some accolades. She then proceeded to make another appearance in the movie Silent House, an American Independent horror movie. After another excellent performance, Olsen was gradually rising to prominence and was soon featured in the movie Red Lights in 2011 before starring in Very Good Girls in 2013, the same year she bagged a BAFTA award for ‘Rising Star’. That same year, Olsen featured in Oldboy, a remake of the 2003 South Korean movie. Elizabeth Olsen in 2014, landed another big role in the reboot of Godzilla, a movie she starred alongside Bryan Cranston and Aaron Taylor-Johnson. Afterward, she embarked on a journey through the lane of Marvel Comics starting with the mid-credits scene of Captain America: The Winter Soldier. She then starred in Avengers: Age of Ultron which was a sequel to The Avengers. She also appeared in 2016’s Captain America: Civil War as well as the sequel, Avengers: Infinity War. Elizabeth Olsen was patient enough to get into the big screen and now enjoys the dividends. The talented actress has an estimated net worth of $5 million, a figure she garnered in the course of her movie career. According to analysis, Olsen’s current net worth could become a trifling figure in the years to come, as the actress is gradually rising to prominence. More so, considering her delightful nature the actress is sure to land some endorsement deals that will also help boost her financial status. Elizabeth Olsen had a personal manager for a mother and a real estate developer for a father, and this helped her learn the act of discipline and moral uprightness. She was the youngest of four siblings – twin-sisters Mary-Kate and Ashley Olsen, her older brother Trent, and herself. She was only 7 when her parents divorced in 1996 and she had her mother and her sisters to look up to afterward. 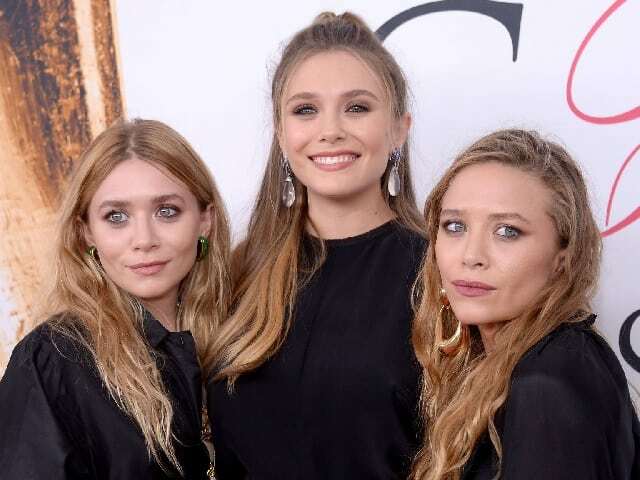 Olsen’s sisters – Mary-Kate and Ashley – are famous multi-millionaire fashion designers and also are former child actresses. They co-founded their company Dualstar Entertainment Company which is basically into TV content production. Reports have it that the company which is worth millions of dollars have caused them to be counted as one of the wealthiest women in the entertainment industry. The duo who started out as actresses found other interests as they grew older – one of them being fashion. Mary-Kate is notable for her signature “homeless” look, a fashion style that has become a long-lasting trend in entertainment. The twins have a flourishing clothing line meant for young girls under the age of 14. They also have their ‘May-Kate and Ashley: Real Fashion for Real Girls’ a beauty line; among other establishments. News of Elizabeth Olsen’s engagement with Boyd Holbrook in 2014 sparked marriage rumors at the time and some sources speculated that the actress was already married to the fashion model. Olsen and Holbrook who started dating in 2012 called off their engagement in 2015. The actress is said to be dating Robbie Arnett. She was reported by some sources to have dated Tom Hiddleston and Chris Evans, although these reports were never confirmed. Olsen has got a body that perfectly suits her career. The actress stands at a height if 5 feet 6 inches (167 cm), which is quite proportional to her weight of 58kg (128 pounds). Olsen and her 34-25-35 body stats fit into a size 6 (US) for her dresses, and this is equivalent to size 10 (UK). Although she takes publicity advice from them, Elizabeth has chosen not to tap into the fame of her already-made sisters as she consistently builds her own image in the movie industry. She has two younger half-siblings. Elizabeth and her family are of Norwegian and English ancestry.